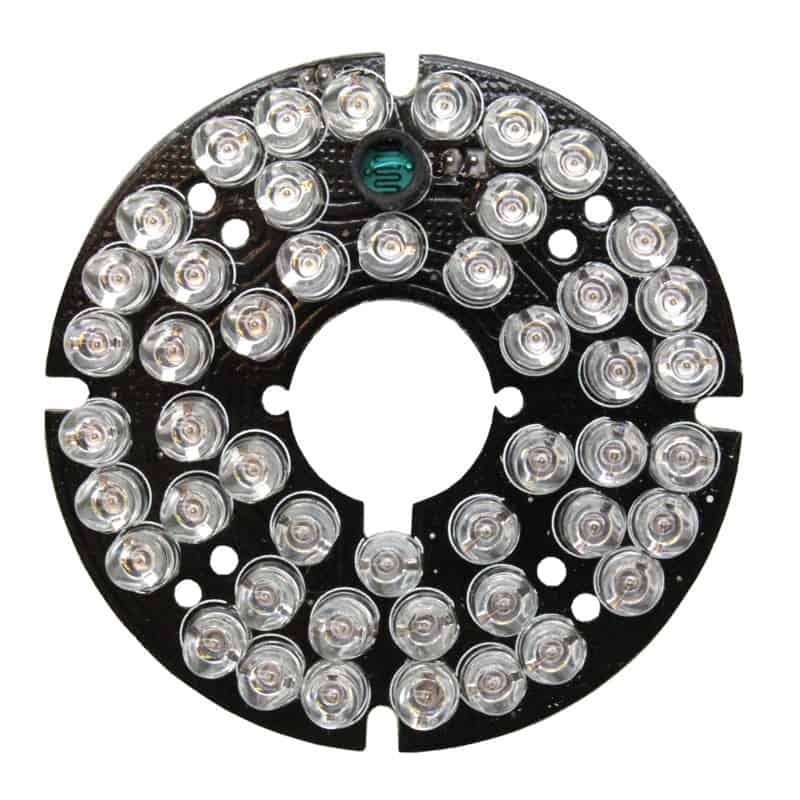 There's nothing magic about this board - it's just a circular array using 48 high-intensity IR LED's and appropriate drive circuitry. The real magic is your CCD video camera. CCD sensors are sensitive to IR light that you can't see, thus illuminate the scene with IR and the camera sees just fine. 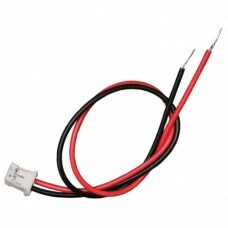 Small size allows easy hiding in clocks, smoke detectors, pictures or any object you can think of. 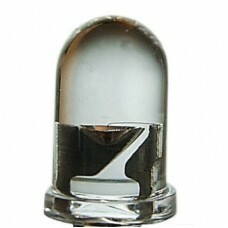 Place a piece of smoked plexiglass in front (it looks clear to IR) and you’ve hidden your IR light source. 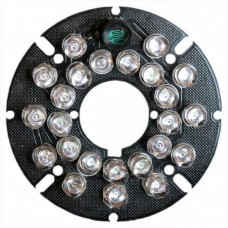 The whole array will illuminate similar to what you'd expect of a bright flashlight. 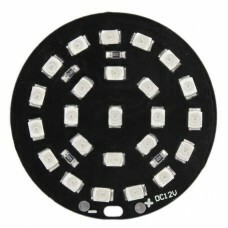 Our 48-LED IR Panel is constructed using 48 high-output 850nm 60° LEDs mounted on a 60mm (2.37") diameter board. These are the highest-quality LEDs with a slight Red Glow from the LEDs when they are on, making this panel ideal for surveillance applications. The panel has a working distance of approximately 15-20m (49’ to 65’) in ideal conditions. 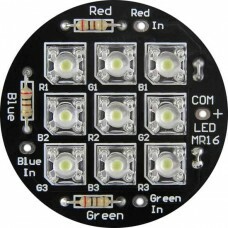 The board also includes an onboard light sensor (CDS cell) which will only illuminate the LEDs when the surrounding area is dark. 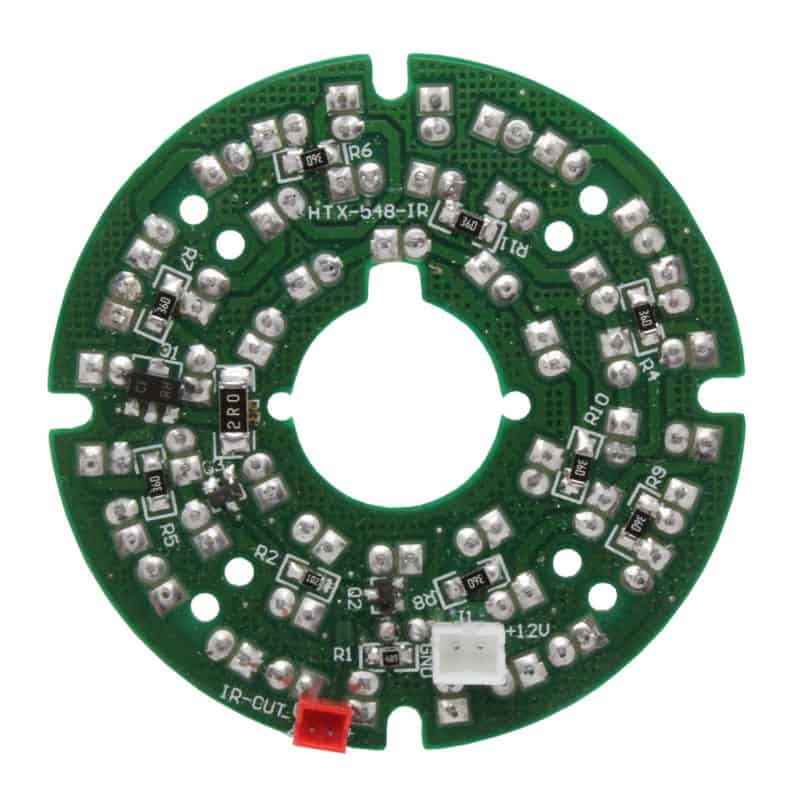 Power requirements for the board are 12v to 14v DC and draws approximately 330mA. Power draw of the board is only 1mA when in stand-by mode. 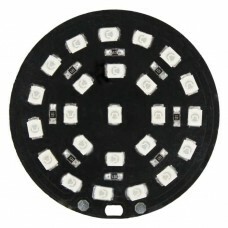 Board comes fully assembled and tested complete with a 14cm (5.5") power connection cable.